Yes, we know you know what Make My Trip is about. And yes, we know you’ve used it. And yes, we know it’s awesome. But what we’re doing here is giving you additional info on it’s exclusive features and combos. Oh and special DISCOUNTS. Interested yet? Okay, so unless you’ve been living under a rock for the past 10 years, you already know that Make My Trip is essentially a travel website. Make My Trip is a travel website that primarily helps you book flights online in an optimised manner, showing you the cheapest flights to the most expensive, giving you the opportunity to customise preferences and view the flights accordingly. In short, it helps you book the best/cheapest/most convenient flight from hundreds, all by sitting in the comfort of your house/office/school/wherever. How cool is that? Oh, not only do they have a flight booking service but ALSO cater to buses, trains, hotels and entire holiday packages! I repeat, hotels and entire holiday packages! Sounds perfect if you hate planning. Sounds perfect if you hate stress. Planning = Stress. Ok, you know where I’m going with this…. 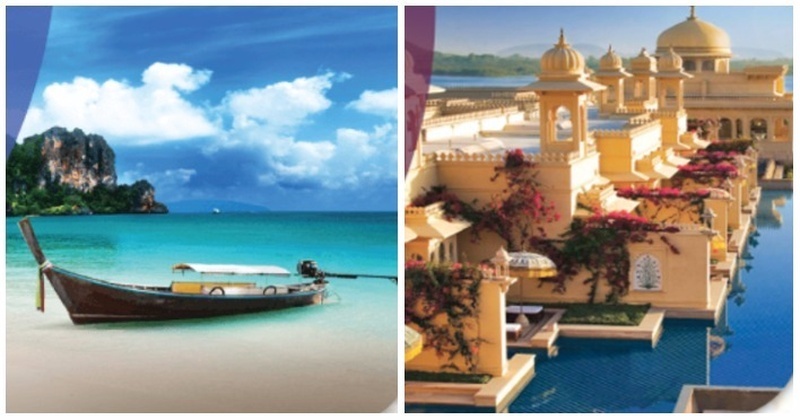 Click here to check out their awesome holiday and honeymoon offers! If you did, you would’ve come to a nicely designed page that shows you all it’s fab offers and features and more. But, if you didn’t I can tell you this once.. The Make My Trip Holiday page offers you customised packages, international and national, for couples, friends, family and even the weekend. They have another section called featured packages where the best flight is shown to you, including a suitable hotel. Along with an itinerary. Yes, they plan everything - all you gotta do is show up. Weddingz.in had partnered with Make My Trip! That’s exciting for you as you get an exclusive discount. Make My Trip - Flat Rs. 10000 off on any transaction above Rs. 100000. Redemption - would be done with the help of a coupon code which Weddingz.in clients would have to enter to avail the deal.